Who doesn’t love all-things unicorn? They’re the biggest hit of the year, and understandably so. Anything can be turned into unicorn magic and everyone loves unicorns! 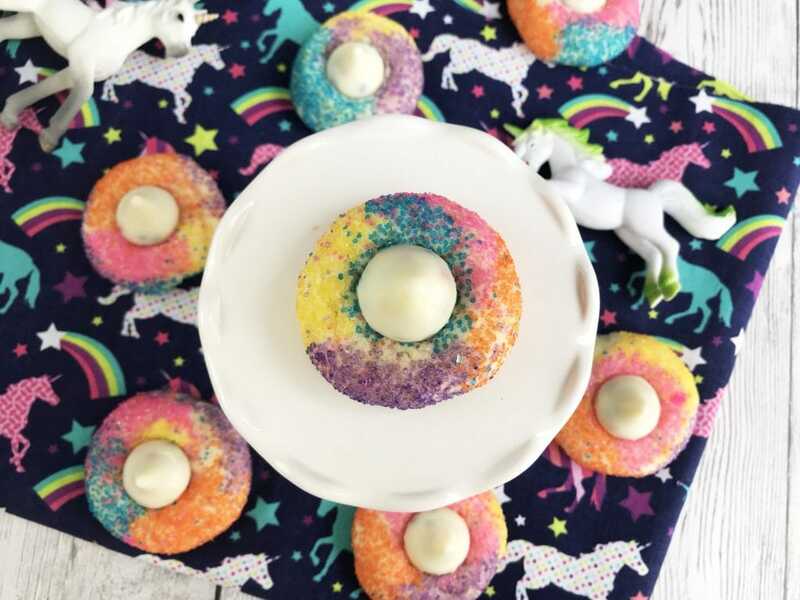 Check out these amazing Unicorn Cookies made with Hershey’s Kisses Birthday Cake Candies! Not only are they festive and beautiful, they taste great, too! The best part? They are only 6 ingredients. So simple to make, but super tasty to eat. There are so many reasons to make this cookie, the options are truly endless. Think of the upcoming events on your calendar that these would be a hit at. 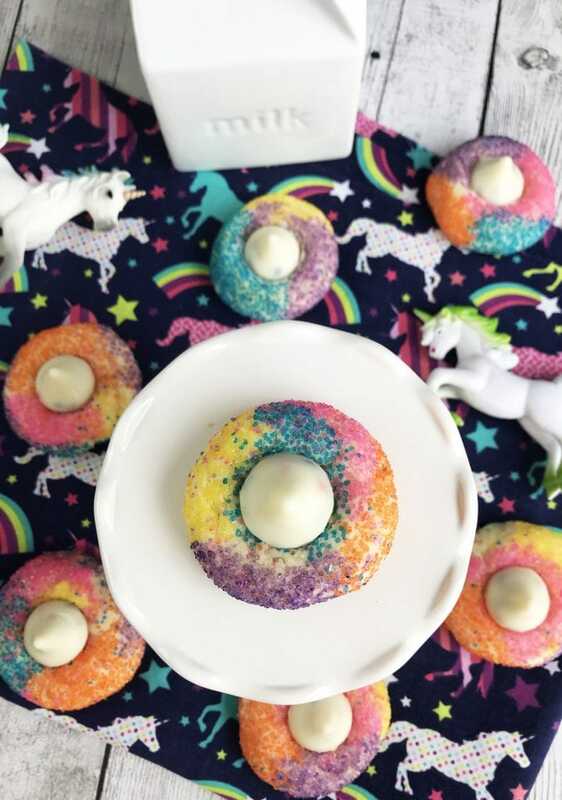 Have a unicorn-themed birthday party coming up? 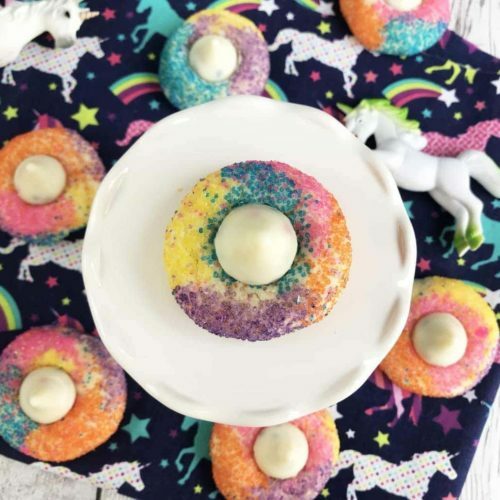 These Unicorn Kiss Cookies are an absolute must. Maybe you just want to surprise your kids with a festive treat at the end of their school day? Make ’em up to give your kids a surprise that they are sure to love. Truth be told, you don’t even need a reason to celebrate with this amazing cookie treats. Just bake ’em up and serve them to your family nice and warm, with an ice-cold glass of milk. Your family will be begging for seconds after their first bite! Make certain you have all the ingredients on hand listed in the recipe below, and then have fun preparing the most fun cookies your family has eaten in a long time! Preheat the oven to 350 degrees and line a large baking sheet with parchment paper. 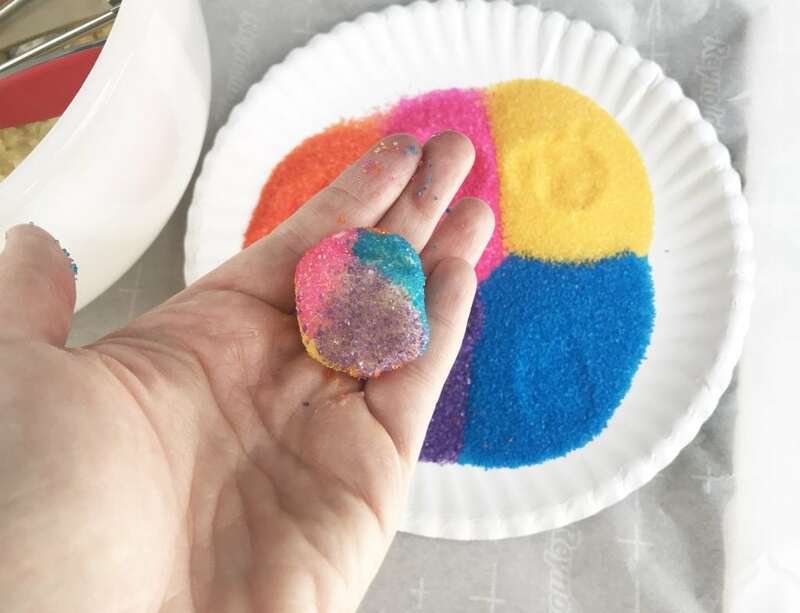 Pour the colored sugars onto a plate. Combine the white cake mix, 2 eggs, vegetable oil and flour. Mix well and scoop the cookie dough into 2″ balls. 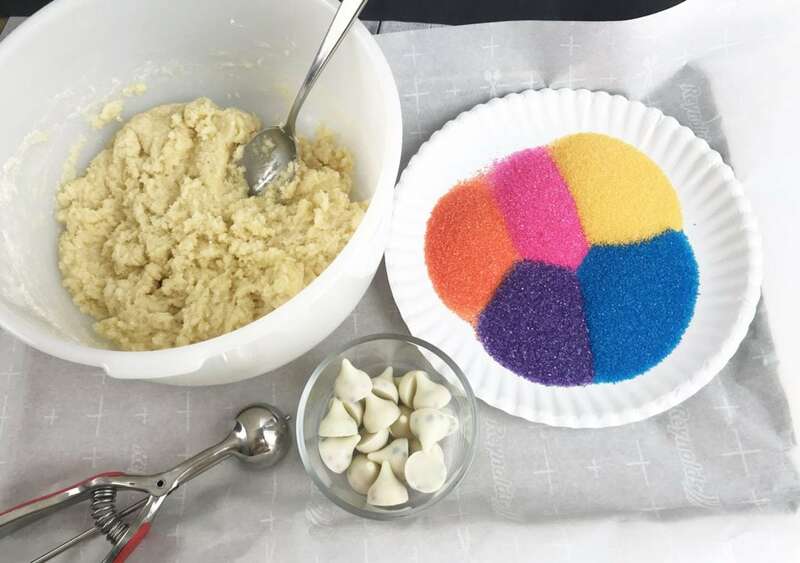 Dip the cookie balls into each colored sugared and place 2-3″ a part on the baking sheet. Bake for 8-10 minutes. Remove from the oven and let cool 5-6 minutes (I suggest waiting a few minutes because any sooner and the Hershey’s Kiss will melt). Place one Hershey’s Birthday Kiss in the center of each Unicorn cookie. Preheat the oven to 350 degrees and line a large baking sheet with parchment paper. Combine the white cake mix, 2 eggs, vegetable oil and flour. Mix well and scoop the cookie dough into 2" balls. 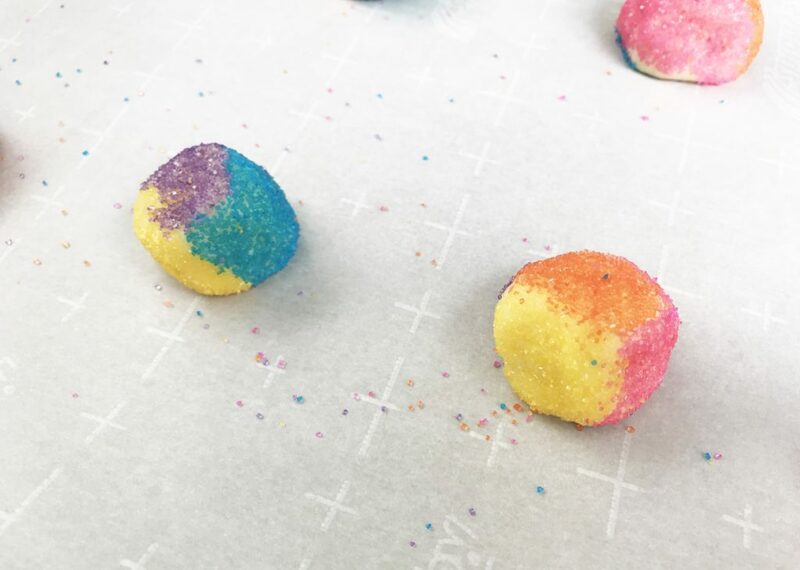 Dip the cookie balls into each colored sugared and place 2-3" a part on the baking sheet. 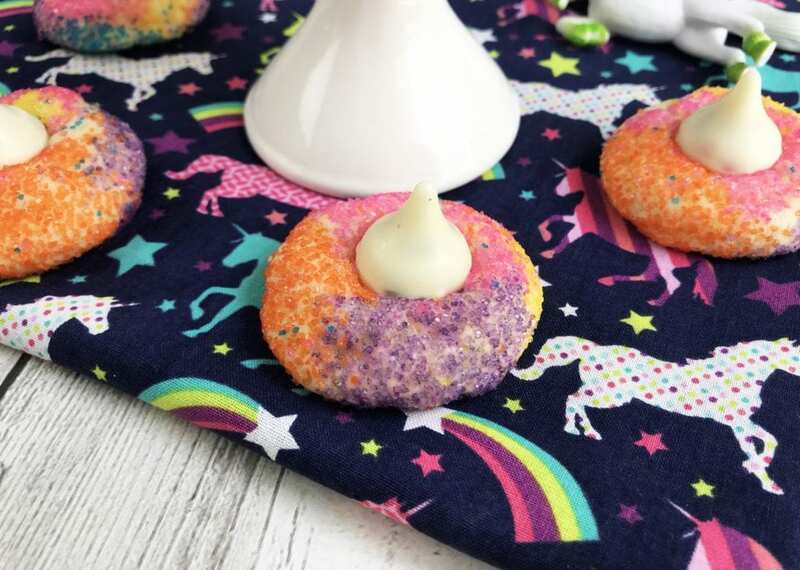 Place one Hershey's Birthday Kiss in the center of each Unicorn cookie.